The story was told of how in 1948, a projection was made of countries that had potentials of becoming World Superpowers and Nigeria appeared on the list ahead of Japan. Today, Japan has lived out that potential but our dear country is in a dire strait. It became imperative for me to honour this invitation as it is a platform that congregates two critical elements of national development that must play vital roles in the quest to lift Nigeria out of the woods, namely the Academia and Engineering and such an opportunity to speak to the conscience of actors in these two critical sectors cannot be passed by. The choice of this topic is commendable as forward-thinking and it is undoubtedly an inevitable engagement we must have as a people. As a nation that is heavily-dependent on petroleum resource both as an income earner and the main driver of the key sectors of our national life, namely power, transportation & industry, the imminent “World Oil Crisis” has far reaching implications that could compound our current poor state of national well-being. It indeed calls for an extensive brainstorming. Nations with foresight are beginning to device mitigation efforts and develop feasible alternatives to deal with the impacts of the approaching new reality, and as such, are taking positions to remain viable States, going into the future. Viability comes from the Latin root vita, meaning “life.” So the noun viability also refers to something’s capacity to live and grow, that is, the capacity for sustainability. Viability is an indicative article of future-proofing, being capable of realizing intended purpose(s). It is the purpose of nation-states to protect the safety and well-being of its citizens and have its citizens ultimately happy, thriving, realized and fulfilled. Viable States have positive indicators that derive from enabling and supportive infrastructure and systems, which lead up to sustainable States that has got the capacity to realize the given purpose of a State. Non-viable states however are low on these sustainability indices, being without the required enablers to engender the capacity to fulfil the mission of States and are only symptomatic of a descent to a failed state. The immediate petroleum crisis is the great plunge in the international market price of crude oil. In the past three decades, according to World Bank records, there are have been five other periods of similar declines in oil prices and the current plunge is only the third largest drop, surpassed by those of 1985-86 and 2008. The current plunge has been partly occasioned by oil exporting countries’ supplies exceeding global demands as some heavy users of oil, that are of course non-members of the Organization of Petroleum Exporting Countries (OPEC), have expanded oil supply from both conventional and unconventional sources. OPEC members’ shift in policy has exacerbated the oil glut and the effect has been totally unenviable for a country like Nigeria. This effect is not unexpected as what the country is currently experiencing perfectly fits the below quoted projections of experts, “While falling oil prices would support activity and reduce inflation globally, some oil-exporting countries may come under stress as falling oil-related revenues put fiscal balances under pressure and exchange rates depreciate on deteriorating growth prospects.” This is the effect of being a crude oil exporting but finished products heavily-importing country. The impacts of the current plunge is indeed acute, whereas it is not the real oil crisis. The impacts of this phenomenon are as dynamic as they are far-reaching, two of them essentially suffice here. One, as oil peaks and production decreases, global economies, particularly those most dependent on oil will be adversely affected. Two, the feasible alternatives, unconventional oils, “are nature’s own carbon-capture and storage device, so when they are tapped, we risk breaking open this natural carbon-fixing system. And as output ramps up to meet increasing global demand for high-value petroleum products, unconventional oils will likely deliver a higher volume of heavier hydrocarbons, require more intensive processing and additives, and yield more by-products that contain large amounts of carbon.” The new reality comes with serious challenges of higher costs, advanced technologies and larger carbon footprint. Nigeria has enjoyed decades of oil boom and unimaginable oil revenues but remains a non-viable State. It is where students graduate not to have jobs, it is where students go through schools and do not know. It is where electric power is a daunting challenge with very low generation capacity, comatose transmission infrastructure and derelict distribution network, yet Electrical Engineering graduates roam the streets without jobs. It is where good road networks remain pipe dreams but Civil Engineering graduates cannot secure job placements. It is where trees grow naturally in abundance but there are no process plants to convert trees to paper, not even tooth pick. It is where public service holders cannot send their children and wards to the public schools over which they superintend. Nigeria is blessed, yet remains in desecration. The critical challenge now, in view of the imminent oil crisis, is that if Nigeria could not build viability with years of abundance and if the minor volatility in oil prices has shaken the country to its very foundations, it is left to be seen if Nigeria is at all in readiness for the new reality and the impact of the major oil crisis on the country is unimaginable. Even though the situation is totally dispiriting, it is our duty to still build a viable Nigeria where the future is secured for the next generations and an enabling environment is created for anybody’s dream to become a reality, supported with required systems and structures. This onerous task would require both intangible and tangible demands from us. We must rise to the occasion to build a nation that is indeed desirable to live in. ‘We’ would mean the Nigerian people, particularly the academia, the industry, and the government; more particularly the engineers, in this case, the Nigerian Society of Chemical Engineers (NSChE) and most particularly, you & I. First, we must think differently. We must think service, think delayed gratification, think creation rather than consumption; we must become selfless, we must be willing. We must take responsibility! That reinforces first, the need to reinvent Nigeria’s education framework, as the depth of educational foundation determines the height of national development; and second, the important need for the academia and the industry to establish solid frameworks for collaboration through the research institutes, for us to turn the corner of viable national development. This is the particular step that would guarantee us as a formidable player in the new reality of oil-peak mitigation and post-oil-peak eras, in the development of unconventional oils while also having the competence to address the attendant larger carbon footprint and more grievous environmental degradation. 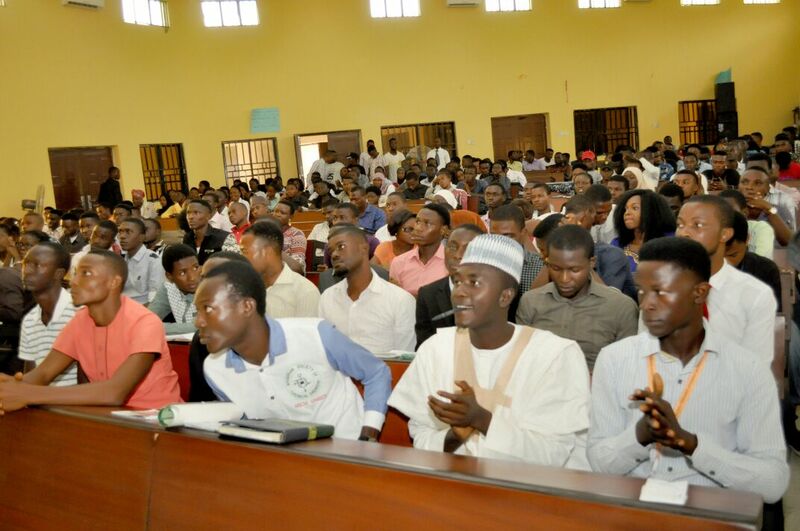 Our students, particularly Chemical Engineering students must evolve the reorientation of becoming creators of values and not job seekers, using various platforms including that of industrial training (SIWES) to identify products and processes for which they can collaborate and save their little stipends at SIWES & NYSC (delayed gratification) to create and grow start-ups. It goes without saying that we must redefine governance and politics, being the bedrock of policy formulations that significantly impact other areas of our national life. The academia & the industry (professionals) must creatively engage politics to take back the driving seat of our national destiny from so many of the current political office holders who have no clue about national development. This would take us back to the era of conscientious and dutiful implementation of national development plans that we have stopped since the truncation of the 4th National Development Plan up to the current dispensations that we now have ‘visions’ without plans. It is Professor Wole Soyinka who is said to have referred to his generation as a wasted generation, having enjoyed quality education but ended up taking quality out of our education, ended up taking water out of our taps and ended up taking health out of our hospitals. Our generation must rise up and be counted on a positive note. It was a generation that fought for the independence of our nation and yet another generation fought to install democracy, putting us on firmer track towards development. Our generation must define its mission and pursue its realization. We are the generation upon which the task of learning from past mistakes of not maximising the regime of massive oil economy and taking up the challenge of building a viable nation through the impending major oil crisis has fallen. Notwithstanding the aberration of our inability to have built a viable nation with the enormously incredible revenues that accrued to Nigeria in the range of trillions of Naira from the decades of oil boom, IT IS POSSIBLE to still seize the moment in the face of the emerging World Oil Crisis to build a viable nation where the citizens are empowered to realize their potentials, where enabling systems are built to support national development and that can therefore adequately respond to the impending crisis. This will chiefly rest on the willingness of the academia to collaborate with the industry in revitalizing the nation’s research institutes towards developing innovative capacities and technological competences as required for a learning economy to transform and be ready for the new reality of unconventional oils regime while other enabling machineries are put in place to consolidate the academia-industry collaboration. The plan for this must start now! A plan of action to midwife this renewed collaboration must be created, possibly with the academia taking the bull by the horn from this very convention. If we plan nothing, we get nowhere. 2. Deborah Gordon – Understanding Unconventional Oil; The Carnegie Papers (2012). 4. John Baffes, M. Ayhan Kose, Franziska Ohnsorge, and Marc Stocker – The Great Plunge in Oil Prices: Causes, Consequences, and Policy Responses; World Bank Group Policy Research Note (2015). 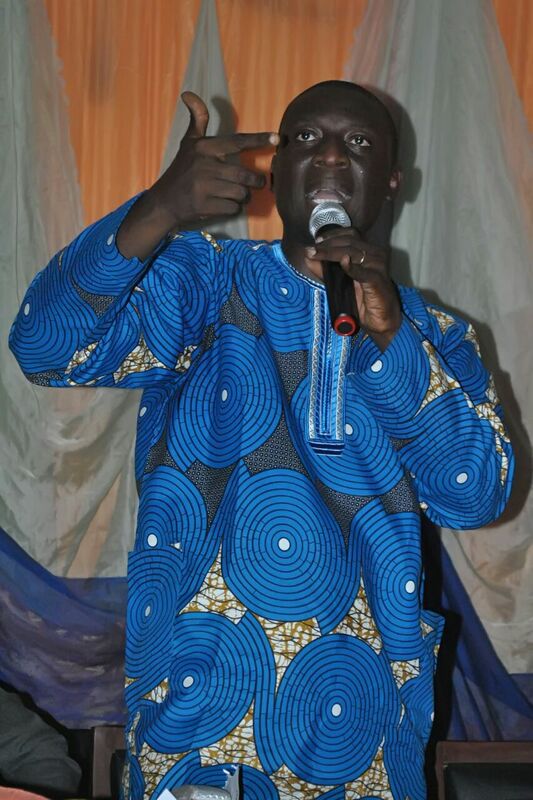 Engr Olutosin Ogunmola is the current General Secretary, Nigerian Society of Engineers (NSE), Ikeja Branch and the Treasurer, National Society of Black Engineers (NSBE), Lagos Technical Professional (LTP) chapter. He is an Electrical Engineer registered with the Regulation of Engineering in Nigeria (COREN), with over 12 years of high-flying industry experience. He has held positions in Maintenance & Technical Service in Multi-nationals such as Peugeot Automobile, PZ Cussons & LafargeHolcim. As a highly resourceful personality, he has presented papers in Engineering conferences. He is imbued with an enduring entrepreneurial disposition and currently promotes Nigeria’s first comprehensive e-commerce platform for maintenance and repair services, www.OnlineRepairNG.com. Previous articleSpeech delivered by Engr Haruna Rabiu during inauguration as new chairman NSE Kano Branch.